Very pretty. 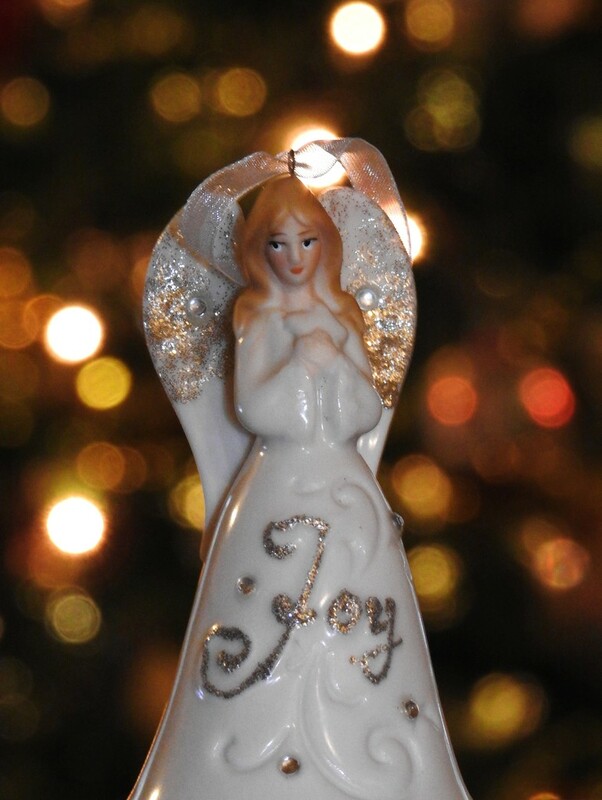 I like the lights on the tree in the background out of focus but great focus on the angel. Thanks so much for commenting on my photo of the Christmas ornament. I am terrible at photographing still life, so this is one of the few that is in my project. The last one I remember is from last Christmas--a very similar presentation with the tree lights in the background. I love the background for this beautiful angel.we just had a few inches of fresh snow. looks so beautiful.